Freeman Forman are delighted to present this unique chain free two bedroom ground floor apartment, benefiting from its own large private garden and private entrance. The property is located in the highly desirable St. Johns area of Tunbridge Wells, within easy reach of The Town Centre, Mainline Railway Station, and excellent Schools for children of all ages. The property offers immaculately presented accommodation which includes a covered front porch area and an open plan reception room with a fully fitted kitchen and breakfast bar. There are double doors that lead from the reception room out to the private rear garden. There is an impressive master bedroom with en-suite shower room, a further double bedroom and a bathroom. The property enjoys a gas central heating system and double glazing. 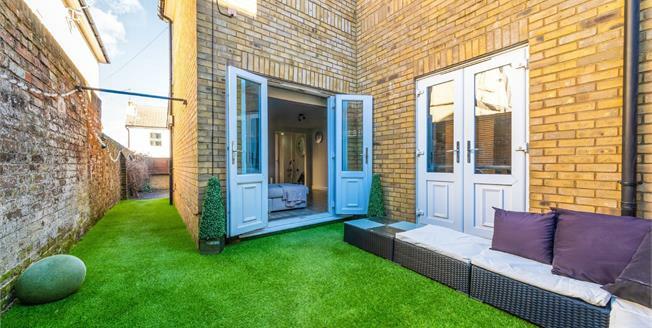 The private rear garden wraps around the property and there is gated access to the front and rear of the apartment. This property really does command a viewing to be fully appreciated.